Our entire breeding stock have OFA-certified hips, elbows tested, and their eyes are CERF’d annually. We pride ourselves on the health, temperament and working ability of our dogs. All of our Labs are OFA and CERF tested and certified. Our dogs are regularly examined by a licensed veterinarian and have all up-to-date vaccinations. All of our puppies are sold on limited or full registration. Before being placed with their new families, our puppies are vaccinated against Parvovirus, Distemper, Hepatitis, Parainfluenza and Coronavirus. They are carefully examined by our veterinarian, de-wormed, have their dew claws removed and come with a full health guarantee. Our buyers have 72 hours from the date of transfer to have their new puppy examined by their veterinarian. If the puppy is determined to be unsound, the buyer may return the puppy to us for a full refund. We also offer a 2 year guarantee against Hip Displaysia and PRA. All puppies are very well socialized.We guarantee the puppy to be free of PRA (progressive retinal atrophy) for up to 24 months of age. If you suspect your puppy has PRA, it must be verified by a certified Canine Ophthalmologist with CERF. These guarantees are dependent upon demonstration that the puppy has received adequate care and nutrition. 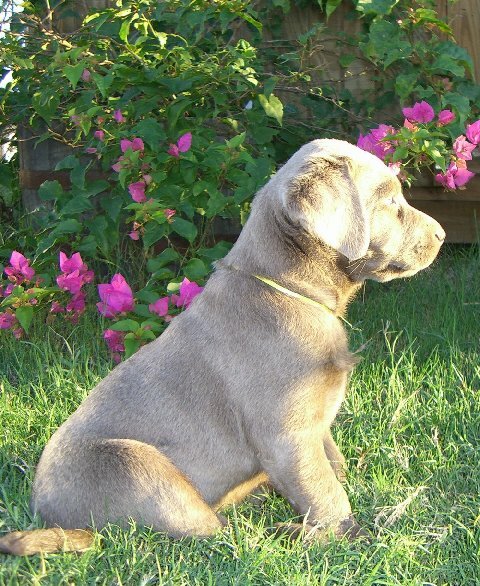 Anything that affects the development or well-being of the puppy, such as abuse, neglect, trauma (i.e. jumping in the air for frisbees), will void these guarantees.